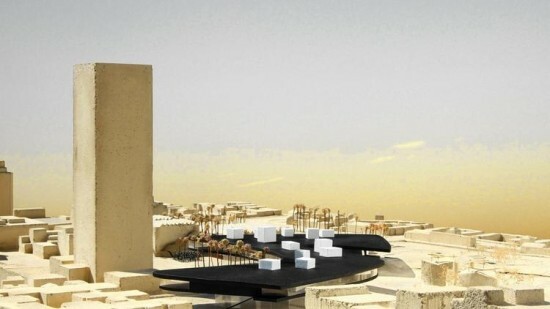 Today LA Times critic Christopher Hawthorne revealed Peter Zumthor's revisions to his $650 million, blob-like plan for the Los Angeles County Museum of Art (LACMA). 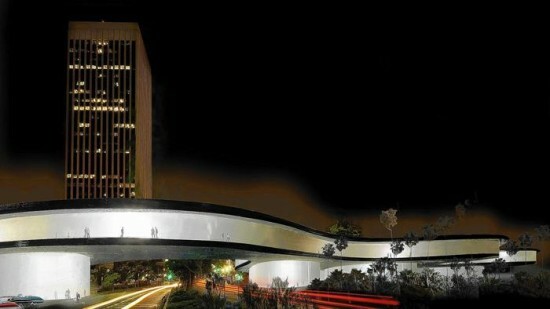 Instead of hovering over the La Brea Tar Pits, the new design now floats over Wilshire Boulevard, touching down on a former parking lot across the street. According to Hawthorne's story, the plan is being supported by LA Mayor Eric Garcetti, councilman Tom LaBonge (whose district contains LACMA), County Supervisor Zev Yaroslavsky, and the Natural History Museum, which oversees the Page Museum and the Tar Pits. But neighbors are skeptical for more practical reasons. "As we’ve painfully learned the devil is in the details," said Ken Hixon, vice president of the Miracle Mile Residential Association (MMRA), which represents around 7,000 people in the area. "We’re not the design police. We want good design. We want good architecture. But it’s all about the connective tissue." For now, he points out, such issues — like the museum's relationship to local housing, available parking, preservation, street life, and, of course, construction—have yet to be specified. An Environmental Impact Report (EIR) for the project is still far off. The situation is more pressing considering the coming additions of the Academy of Motion Picture Arts and Sciences Museum, the renovation of the Petersen Museum, new subway stations on La Brea and Fairfax, and several new mixed use developments, which will all put significant pressure on the neighborhood. "The challenge here is to have a major cultural center in such a densely populated urban corridor," Hixon said. "Everything leans on everything else. This is a big rock in the pond. It's a lot to take in." Hixon did add that the move over Wilshire will bring the museum even closer to local businesses and residences, which could be a concern, considering what's already happening here. “You’re likely going to wind up with major institutions overwhelming single family homes," he noted. But he insisted that the MMRA was still trying to take everything into consideration. One thing is clear, he noted: "The next ten years are gonna be crazy."